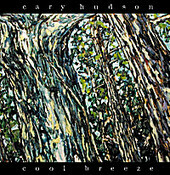 Blue Mountain's Cary Hudson comes alive on Cool Breeze, a southern rock record in every sense of the word. Equal parts blues, bar rock, and acoustic folk, Hudson is able to write a good melody with just an acoustic guitar ("Little Darlin'") and make you feel as if he is sitting next to you singing into your year one moment. And next whip out a raucous-filled rocker such as album opener "Things Ain't What They Used To Be". From the straight blues of "Haunted House Blues" through the poignant acoustic blues offering "Don't Hasten Away". To the stompin' rocker of "Free State of Jones" and the bar rock of "Ain't No Tellin'", Hudson keeps things fresh and lively as he jumps from style to style. All without losing touch with his sound or his songwriting talents, delivering an album that has both a musical and a lyrical bite. I'll give it a B-.